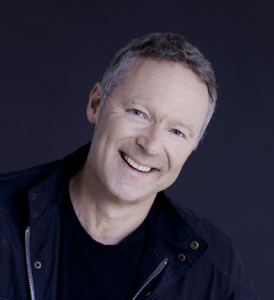 On 24th April, The Mark Davies Injured Riders Fund are presenting an evening of cocktails, canapés and comedy with award-winning comedian, Rory Bremner headlining this very special one-off London event. Bringing together some of the UK’s hottest comedy talent, the event aims to raise funds for this small but incredibly valuable charity. Rory, whose family are also passionate equestrians, is an avid supporter of the MDIRF and will bring his own distinctive style & humour alongside special guests to a packed audience during the evening event at Bush Hall in Shepherd’s Bush. 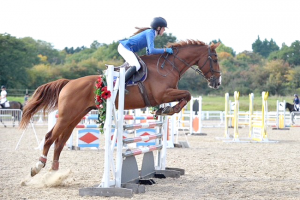 Lily Scott-Garret, aged twelve from Romford Essex, had a very successful outing at Barleylands Equestrian Centre last month securing three wins in the Schools 70cm, 80cm, and 90cm League Classes. Representing Sanders School, Lily rode both her ponies Tooty Fruity and Orlando Sunshine double clear to take the rosettes home. Making a great start to her season at her first ever ‘Just for Schools’ competition Lily said, “Tooty Fruity is quite fizzy to ride but it makes it fun as he is quick against the clock, whereas, Orlando Sunshine is very different so I have to adapt. I am looking forward to doing more ‘Just for Schools’ competitions in the coming year”. Proud of her daughter and her achievements her mother Deborah commented, “I think it’s good that Lily’s school is aware of the work and dedication put into the sport after school and at weekends as children should be encouraged to do something they enjoy”. Lily enjoys travelling to new show centres and meeting new people and hopes that she will be able to encourage others from her school and in the area to follow and give the ‘Just for Schools’ programme a go. The ‘Just for Schools’ League run by British Showjumping offers riders the chance to compete Individually or as a Team in classes ranging from 70cm to 1.10m with the chance to qualify for the British Showjumping National Championships held at Stoneleigh Park in August 2018. Box office is now open! The box office is now open for both Barefoot Retreats Burnham Market International and Saracen Horse Feeds Houghton International (incorporating FEI Nations Cup). Tickets are now available online for East Anglia’s two most prestigious Horse Trials. Barefoot Retreats Burnham Market International runs on Easter weekend, from Thursday 29th- Saturday 31st March 2018. 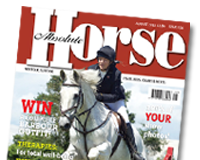 Also enjoying a Bank Holiday weekend, Saracen Horse Feeds Houghton International takes place from 24th – 27th May 2018. Daily hospitality packages and picnic parking are available at both events, with on-site camping a popular option at Houghton – this is the only time of the year that it is possible to camp at Houghton Hall. Adult, child (under 5s free of charge) and family (two adults, three children) tickets can be bought in advance at a discounted price. Both Horse Trials offer a fantastic day out for all the family, with trade stands and children’s entertainment running alongside world class competition. Also running during the Saracen Horse Feeds Houghton International is an exhibition of around 50 new paintings by Damien Hirst, whilst some of his most recognisable sculptures will be installed in the gardens. Entry to the Hall is not included in Horse Trials entry.